Graduated in 1999 with a BSc in Ecology, with a focus on soil science and plant physiology. Received qualifications in Adult Education and postgraduate studies in Ag extension and organisational learning. Nicole is currently studying at the University of Auckland to complete a Masterate in Ag Extension. Founded Tigercast Worms in 2002 … which over time evolved into Integrity Soils Ltd.
Was a finalist in the Rural Business Woman of the Year awards New Zealand’s 2012, Has a U.S. work visa for “An Alien of Extraordinary Ability”! I’m inspired in how to bring measurement and scientific understandings together and balance them with intuitive, anecdotal and practical real-world experiences. I love being around ‘whole-hearted’ people; people who are authentic and courageous. People who are seeing a need to connect more deeply with themselves and with landscapes, and aren’t afraid to ask those crucial ‘why’ questions. So, why working with soils? Well, firstly, EVERYTHING comes back to soil, and secondly connecting people to soil is like opening a door of possibilities which can never be closed again. People never cease to amaze me with the results they get and the impact that it has on their lives. 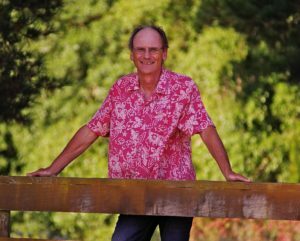 When people obtain the tools and the knowledge and take action around building soil health, there are benefits for the health of people, planet, profit and their purpose. It just gets me so excited, that we’re really working on the next frontier of discovery, and that we’re barely scratching the surface of what is possible. Graduated with a Diploma in Horticulture – Nursery Production (Massey 1984). Worked across a range of commercial horticultural crops . Is committed to putting his depth of experience into action in an environment where it’s valued and positive change can be measured – and to also gain new insights and understanding. Has been focused in recent times in the management of organic apples. 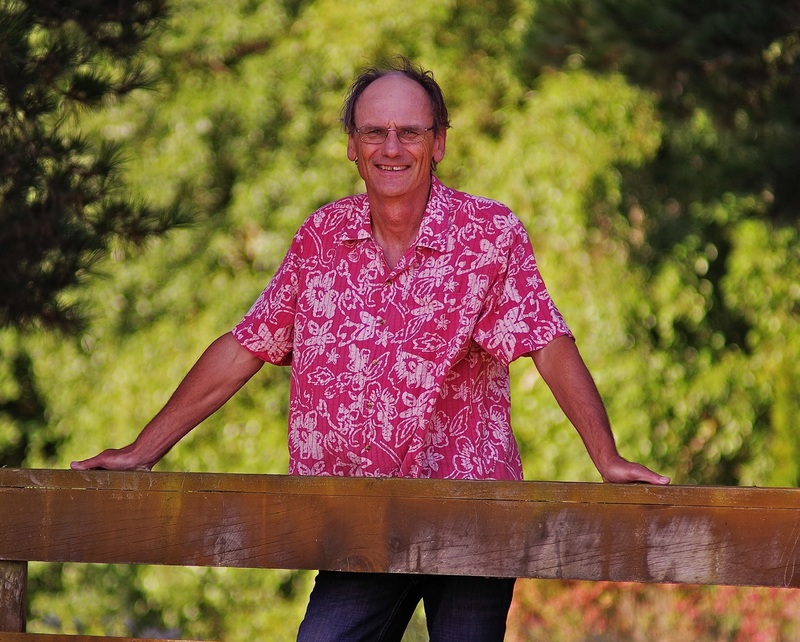 He is an active member of the Hawkes Bay Farm Forestry Assoc. What inspires you? I am inspired by treed landscapes – from botanical gardens to managed forests, small farm forests to large natural landscapes. I am committed to supporting agricultural, horticultural and ecological systems that will endure for hundreds of years to come. The process is from the soil up and need not be complicated. I became aware of regenerative agriculture in 2006 when managing a focus orchard; aimed at increasing fruit quality in organic apple production. Where is home? My wife Wendy and I live near Hastings where we have 6 ha of multi species forestry. Grew up on a registered Angus ranch. Travelled to New Zealand and Western Australia to study soil and agricultural diversity. Finalist in the Feeding Better Futures Scholarship. Attended the Ranching for Profit School and the Landmark Forum Professional Development Course. Will be attending the University of Montana this fall to study business and ecology. The possibility of good food; nutritionally dense food and the effect it will have on the world. I love idea oriented people and conversations with them inspire me think bigger and further ahead. Nutrition back into our foods drives me and the way to do this is through a healthy world under our feet. This last year I have really realized how important this topic is. And in the last few months I have really realized how important it is to share and apply these ideas and my role to help that happen. I want to teach people that even if they aren’t apart of large scale agricultural operations that they can still have a say in the quality of the food they are eating. Lagertha off of the show Vikings is a true powerhouse role model to me. With my Norwegian heritage and hers she really gives me a sense of being completely wild, independent, and not stopping as she passes everyone’s expectations. My beautiful mother; who is the kindest soul and always has my back and also Nicole Masters for giving me so many amazing opportunities and showing me how beautiful this world is! rural financial counselling and facilitating whole farm planning workshops. Kim’s formal qualifications include a Bachelor of Rural Science (Hons) and a Master of Agriculture from the University of New England. She embraces life long learning and has completed training in a number of regenerative agriculture and farm business management courses. 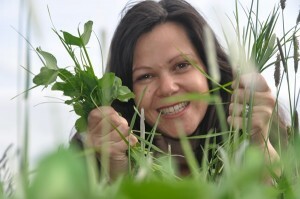 And has also completed a Permaculture Design Certificate and also teaches short courses in Permaculture. Kim works to empower farmers to create financially viable farming businesses and vibrantly healthy farming ecosystems to produce nourishing food. 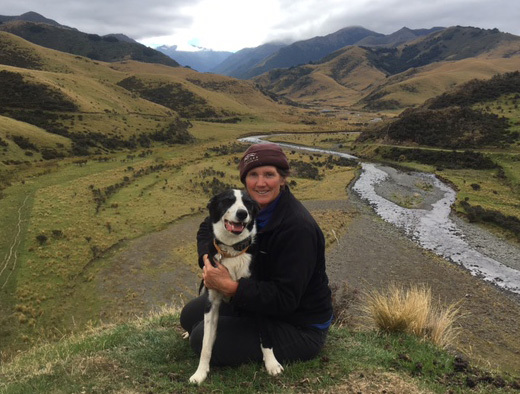 Kim enjoys being one of a group of coaches with the Rural Woman ‘Full Bloom’ program empowering rural women to create fulfilling lives and businesses and to bloom where they are planted. Kim and her husband Angus live on a small property in the New England region of northern NSW Australia and have been regenerating soil that was mined for tin in the early 1900’s using managed grazing and biodynamic practices. She also enjoys exploring her passion for nature photography in her free time. Nature is a huge inspiration in all that I do. Observing nature and learning to work with natural principles rather than against them is the foundation of my life’s work. My husband Angus inspires me daily to live my truth and to be the change I wish to see in the world. My work in a family farming business as well as 12 years working with a range of farming businesses as a Rural Financial Counsellor has made me increasingly passionate about soil health. Viable farming businesses that have the resilience to manage climatic variation and market volatility must have a healthy natural resource base which is underpinned by healthy functioning soil. I am also passionate about the link between soil health, human health and ecosystem health. Everyday people who live their truth and are taking action to be the change they wish to see in the world. Committed to the growing of nutrient dense food through regenerative practices. Brings with her a lifetime of experience in farming in a diverse number of sectors; extensive and intensive sheep and beef, large and small scale organic produce, dairy farming, multi-enterprise farming, and diverse, direct marketing farming. Performance Coach – 8 years managing and leading programs in the educational sector in the field of ontological and performance coaching. Mad about dogs, North American Sheep Dog reserve champion. A life learner who is always studying something new. I love making a difference and being a contribution. Growing amazing food and how that brings people and purpose together. Being outside and learning to work in co-operation with nature. I started life collecting worms, and never wanted to be anything other than a farmer. I am here to empower others to be the change they seek in caring for our environment and ourselves and to go beyond what we believe is possible. I want to see NZ and the world be truly clean and green in my lifetime. People who have a commitment and take action, even in the face of uncertainty and any lack of knowing how. People who are willing to be vulnerable and put themselves on the line, like Nicole; I love what she stands for. My mum and dad for the love and the life they have given me.